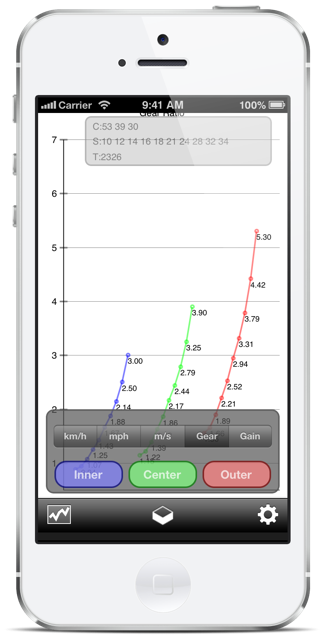 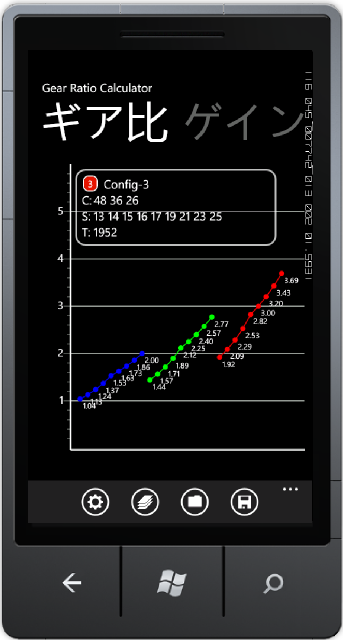 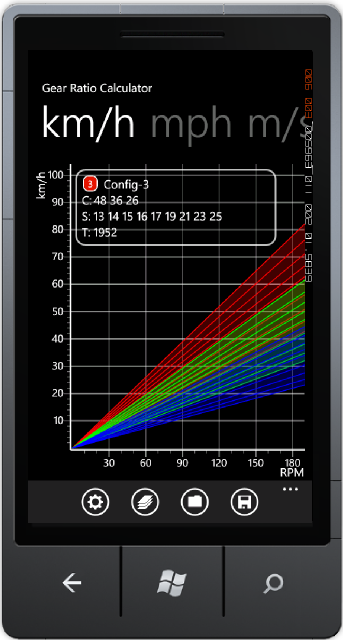 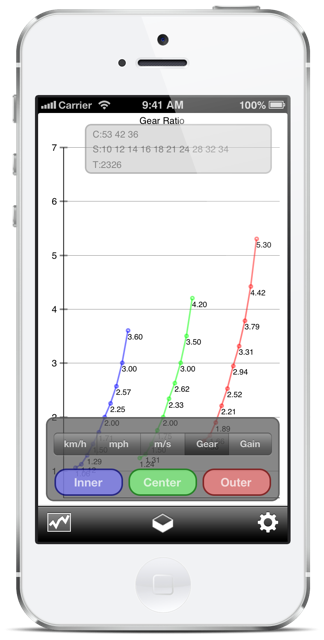 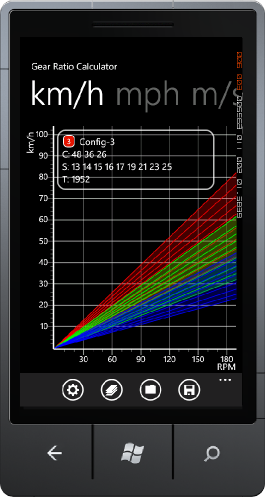 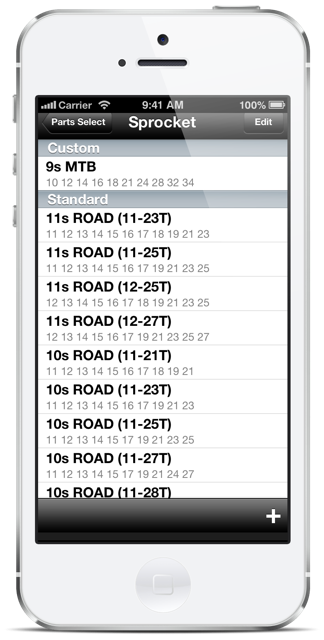 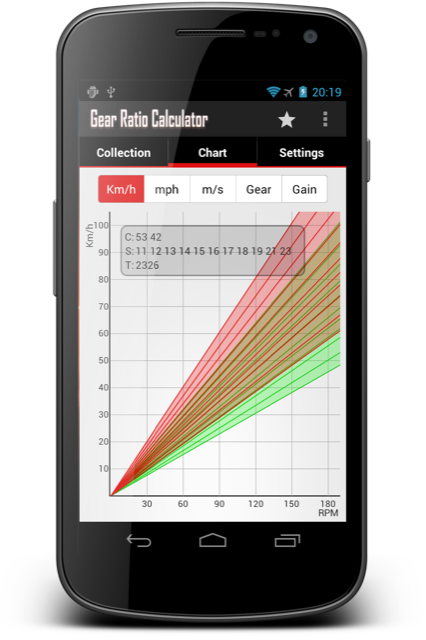 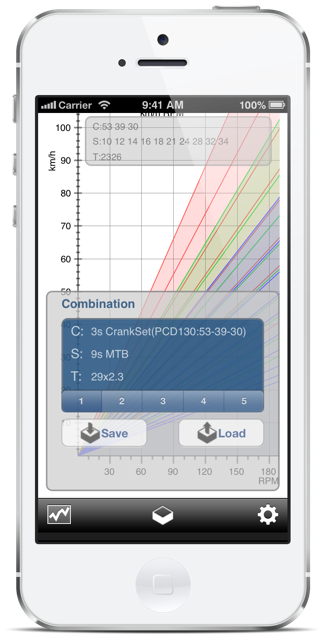 The application calculates gear ratios for a bike exterior transmission machines attached, such as the road bike and the MTB. 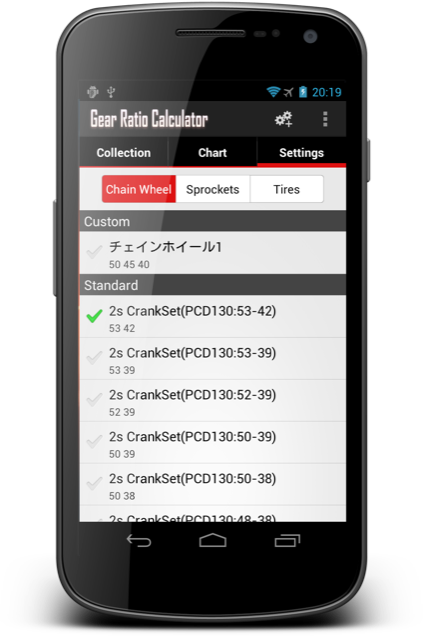 Combination of 22 types of chain wheel, 39 types of sprockets and 70 types of tires - Create a graph of the gear ratio and speed-cadence. 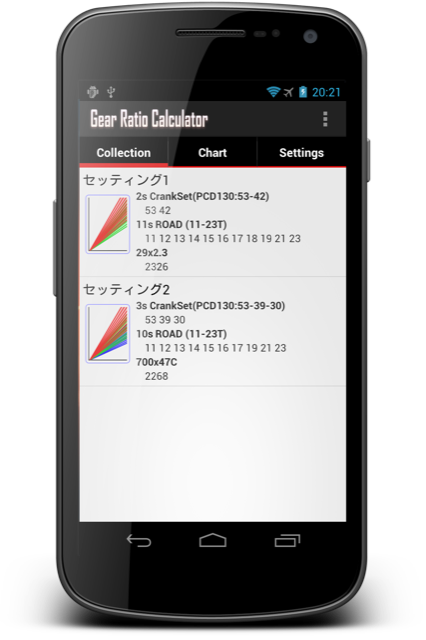 By switch ON/OFF the display of each inner / center / outer gear, you can simulate the optimal gear ratio. 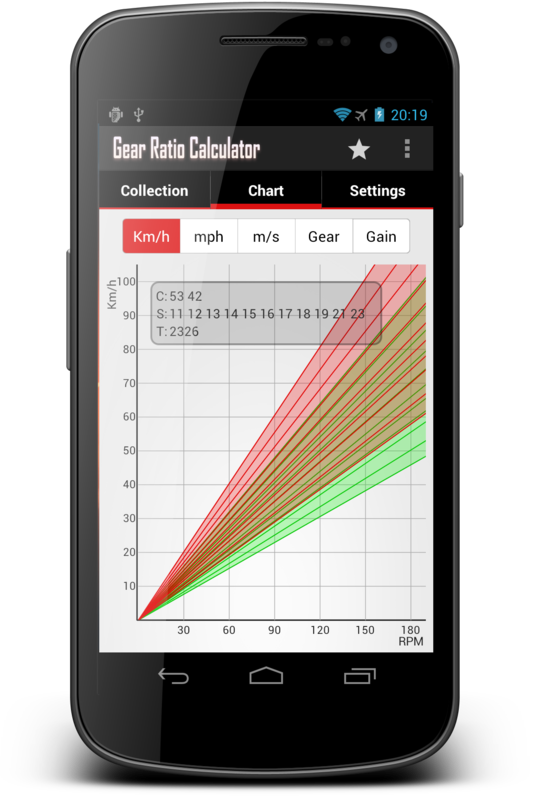 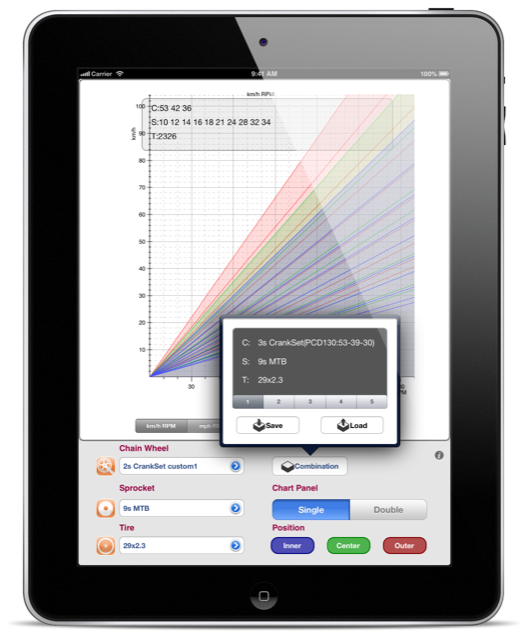 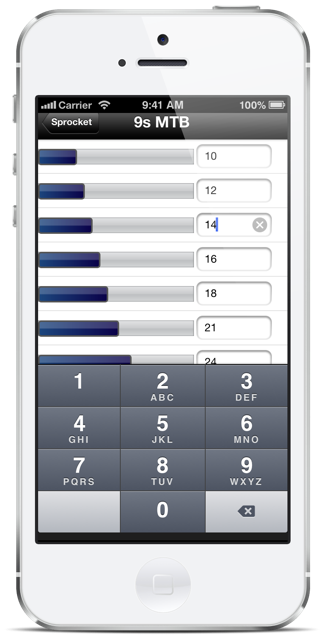 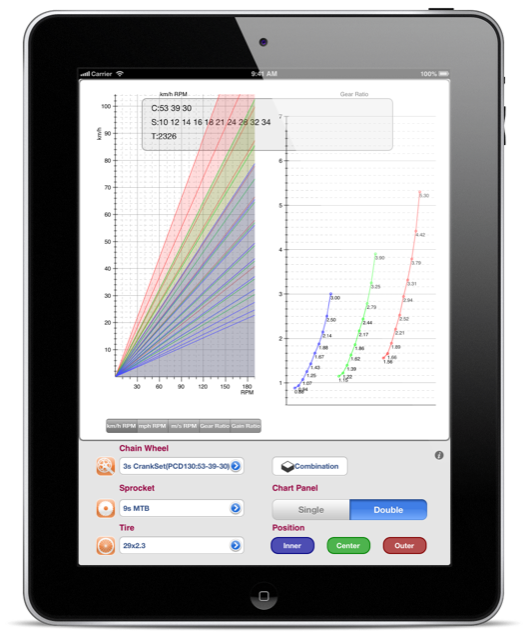 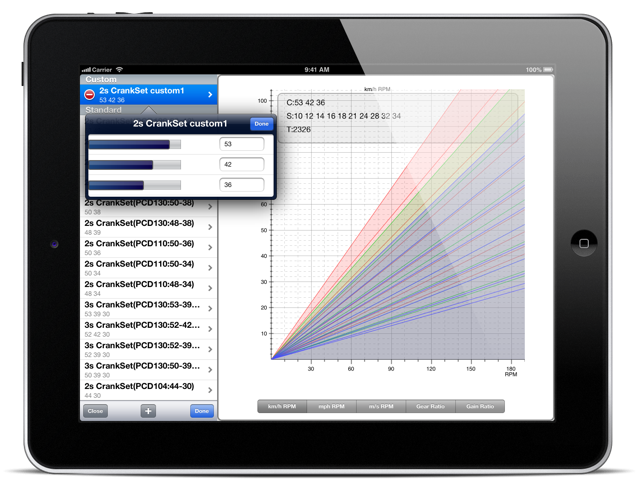 This application helps you to choosing a satisfy replacement parts.